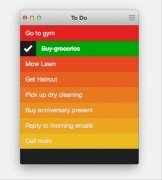 Clear is a GTD type task organizer for Mac OS X that allows you to record all your tasks and to-do lists. 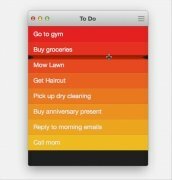 It uses color coding to highlight the importance of each task, and provides a simplified interface that is very easy to use. Life is untidy: organize it with Clear. GTD manager. 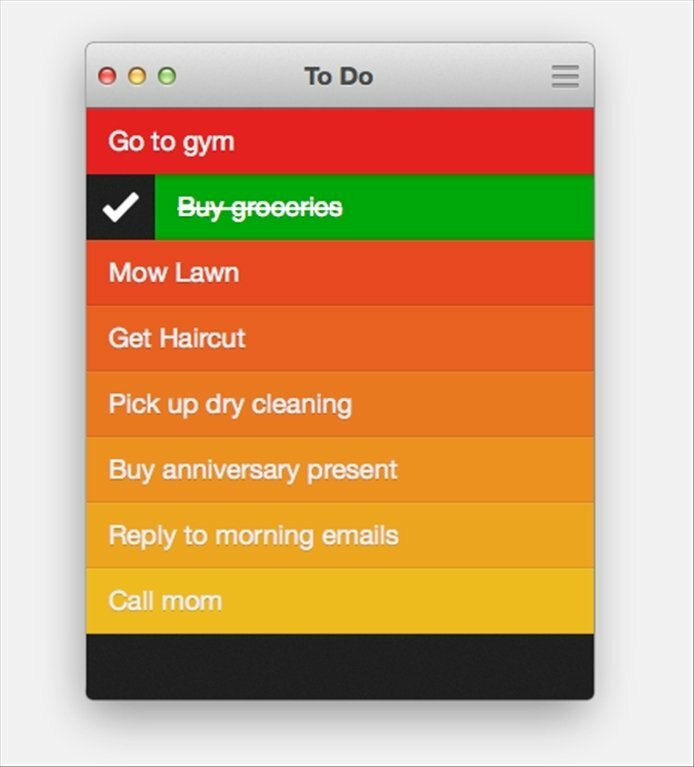 Create lists of tasks and commitments, notes, guests, movies, books and even shopping lists. Simplified use: just click between two tasks to add a new one. Uses color coding to indicate the importance of each entry. Distribute lists into individual windows and swap tasks between them. 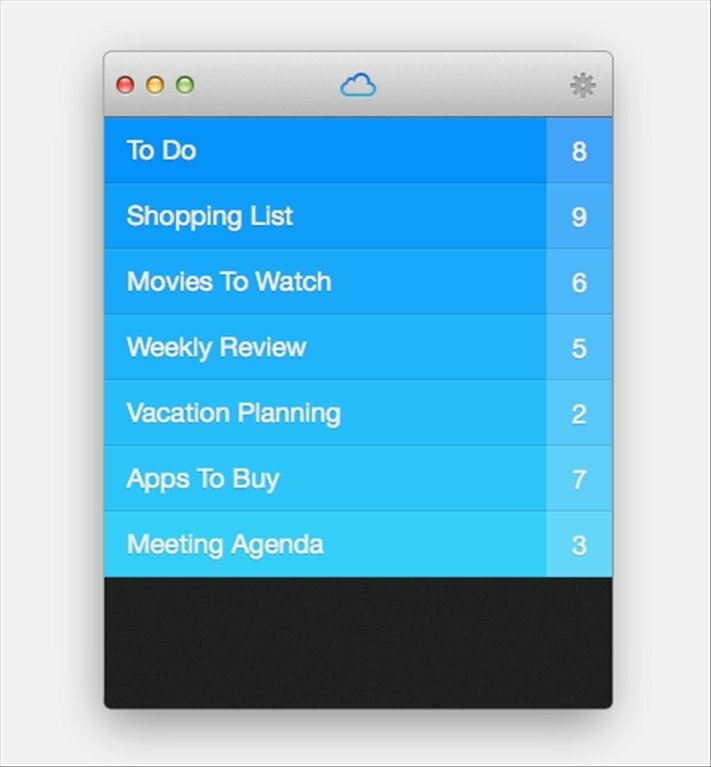 Store your lists on iCloud and share them with the iOS version or with other Macs. Put some order in your chaotic life thanks to Clear. 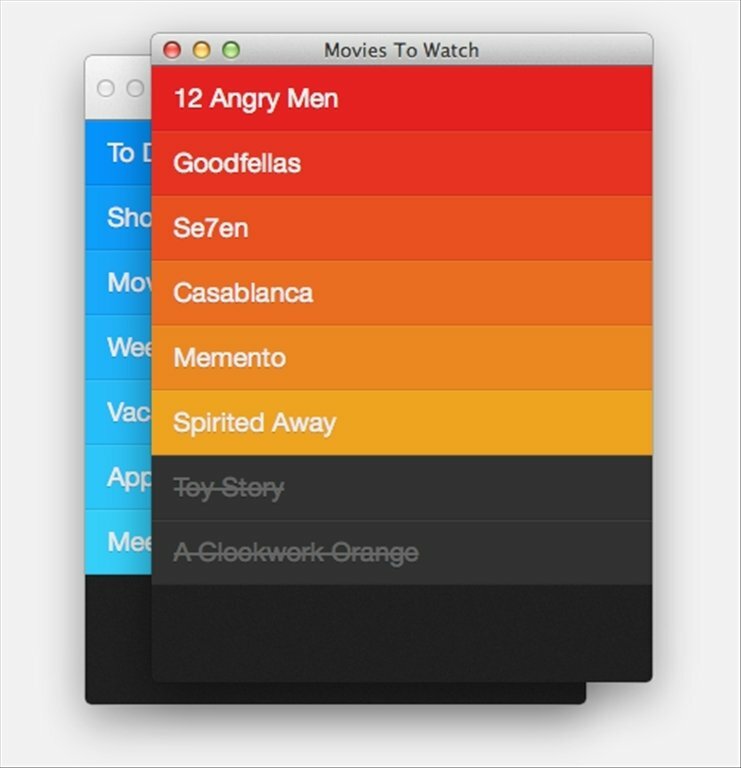 Create as many lists as you need and manipulate their contents easily from anywhere. Download Clear and you'll never forget anything ever again. This is a commercial version. Requires Mac OS X 10.10 or above with a 64-bit processor.